Is it the weather? Nope, Seattle gets as much, if not more sun than Germany, the world leader in solar implementation. Even with our grey days, we get enough sun to effectively run solar systems. Is it the availability of solar systems? We have plenty of imported and local system choices. Washington State is home to 35 manufacturers of solar systems and components. It’s a growing industry employing 2,400 people as of 2014. 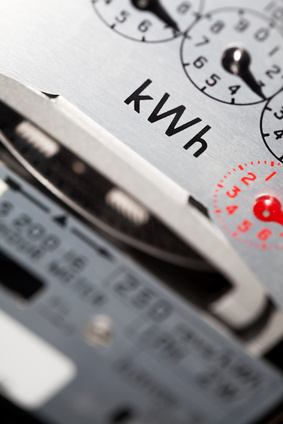 Net metering which allows you to give power back and take it off your bill. There are limits and requirements from each utility, but the idea is that you get credited for the power you produce at retail price, and your electric bill is only the difference (if any) between what you generated and what you used. 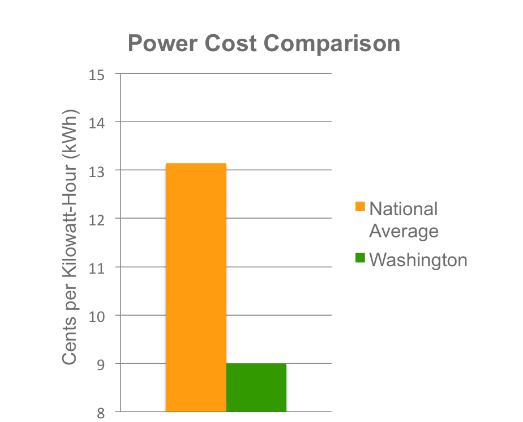 In-State Production incentives: In addition to net metering, you can earn a bonus payment starting at $0.15kwh up to $0.54/kWh (max $5000 per year), for use of made-in-Washington parts and systems. While China produces a large number of the solar systems available, Washington State wants to encourage us to use our local producers. By using solar modules and inverters that are made in state, you can collect these incentives. The local utilities may call these by different names and implement them on your bill slightly differently. For example, PSE calls the production incentive REAP (renewable energy advantage program). These incentives are set to expire in 2020. Some local community utilities have their own incentives as well. One time benefits: From now until June 2018, when you install a solar electric or hot water system you can get a sales tax credit which varies with the size of the system. Smaller systems may get a 100% rebate on sales tax and larger systems can qualify for 75% tax rebate. Plus the federal energy tax credit gives you a tax credit for 30% of the system cost when you install before the end of 2016. The number one reason that Seattle-ites haven’t jumped on the solar bandwagon is because the cost of electricity in our state is so low that the payback could take a decade or more. According to Seattle City Light, “If we divide the initial cost of a system by the total electricity produced over 30-years, the cost of solar electricity (without incentives) is about 3 times what City Light residential customers now pay for electricity. With net metering and new federal and state incentives the economics of solar become more favorable”. While many families have been reluctant to make the $15,000 to $25,000 investment in a solar system for their home, there are energy saving benefits from less expensive alternatives that could reduce your energy consumption. The Department of Energy’s recommendation for energy saving in older homes is to start with a home energy audit and ensure you have air sealing and insulating to code. These steps alone can reduce energy costs substantially. Washington Energy is committed to enhancing the lives of our Puget Sound neighbors through energy saving solutions and helpful information. While we do not provide solar systems, we have many alternatives to make your home comfortable and energy efficient. For home energy audits, insulation, and more, contact us.